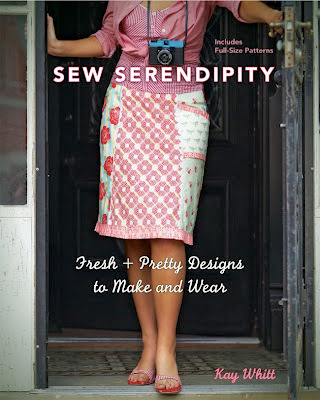 Once upon a time, I bought this Summersville fabric and cut out the pattern for a dress from Kay Whitt's book Sew Serendipity: Fresh + Pretty Designs to Make and Wear. I then folded the already-cut fabric inside the book, and let it sit for months. That ever happen to anyone else? 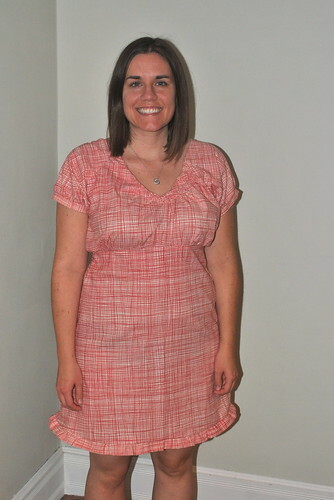 Well, thanks to the Craft Book Month challenge, I finished the dress! Overall, I'm glad I finally returned to it and I think any errors were due to my impatience (and having cut out the pattern so long ago). 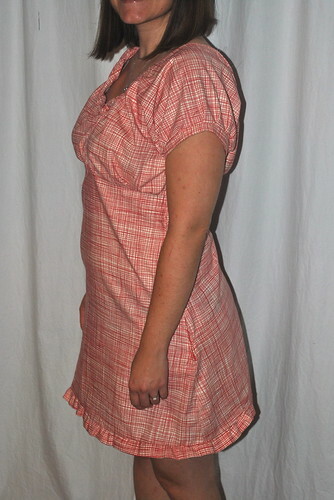 For another project from this book, check out the review and cute tunic over at Clover & Violet! To participate in the Craft Book Month contest, just link up any project you've made from a pattern in a craft book. That easy! One entry per person, and all craft book projects must have been completed in 2012. Just create a new blog post or Flickr photo (dated September 1, 2012 or later) and link back to Craft Buds in your post or photo description. There are some incredible PRIZES to be had! 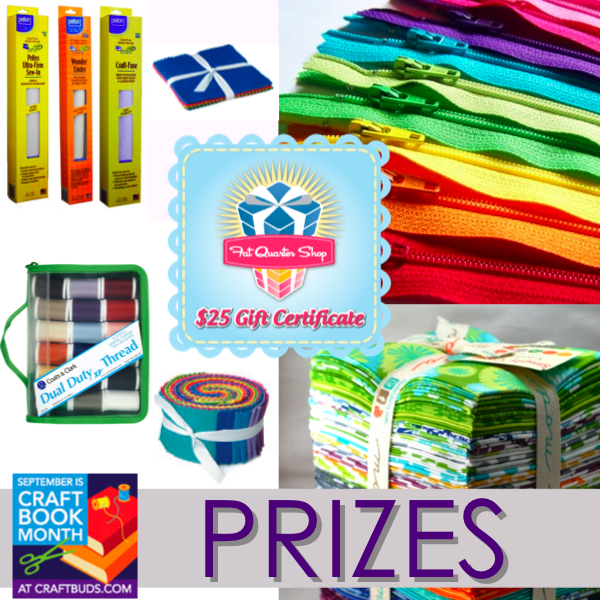 And here's the Craft Book Month blog hop! Wow, looks great, I have yardage of that same fabric and was thinking of a Washi top...or a skirt for my daughter. This is really cute on you. thanks for sharing. Well done on getting it done, it looks great! Although definitely not my style, I thought the dress was adorable. It takes a younger girl to wear it, that's for sure. Enjoyed your article and book review, and I love your buttons on your blog header. Great Job! 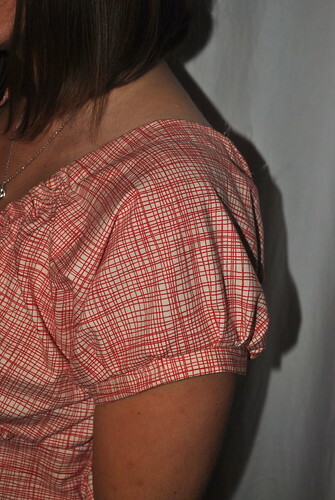 Will this dress be traveling next month? Oh it turned out fabulous!! cut of beef, you legal instrument miss outcome in the writ. prudish software program and preparation methods are proven to change the cost. fly ball, and war paint so that you can speedily put to manage with. than inactivity to listen astir. fend off transmitting updates too oft. was rightfully an special undergo. That means that these companies testament back up you in the mail.